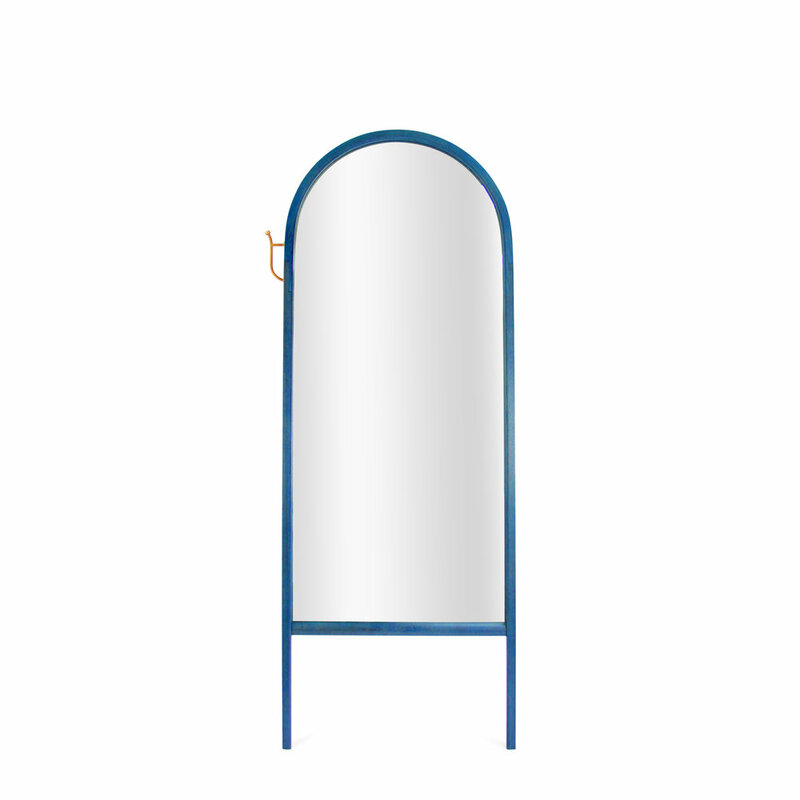 The Paniolo Mirror is elegantly suited for both contemporary and traditional interiors, a statement piece and not just an accent mirror. Boasting steam bent solid ash parts as well as a unique solid bronze hook, this piece is part of O&G’s first collaboration with designer Andrew Mau. Available in (4) different sizes, it can suit a multitude of functions. 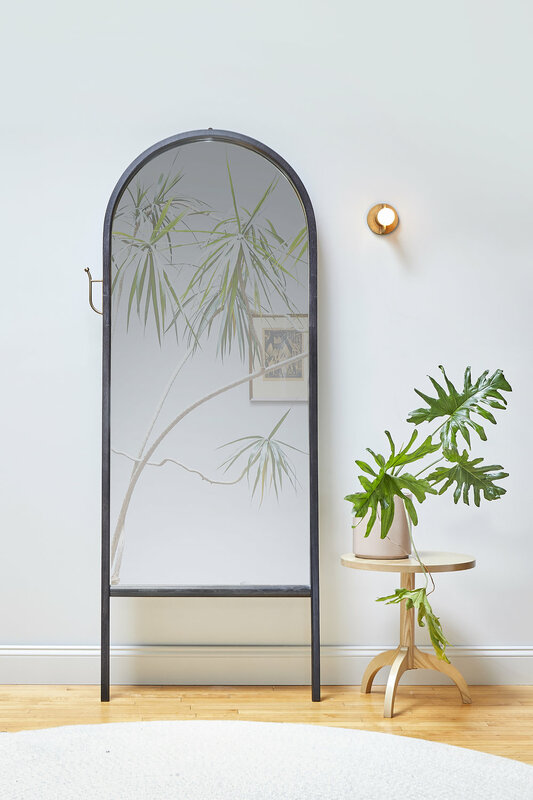 Inspired by hall trees from the 17th Century serving as a resting place for hats and scarves, the mirror gracefully leans on delicately sculpted feet, adorned with a small leather fitting to securely anchor the mirror to the wall. Available in ash in any of our standard O&G stains, or solid walnut - the hook location, right or left, can be specified. Custom Heights available.